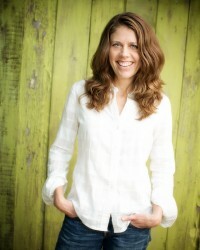 Katje Wagner, PhD, LPC has worked for over 25 years in the fields of holistic health, counseling, and the creative arts. Katje’s work as a licensed counselor and holistic psychotherapist builds on years of experience in Clinical, Somatic and Process-Oriented Psychology. Her approach to holistic psychotherapy is also shaped by her background in women’s healthcare and midwifery, yoga and bodywork, the performing arts, diversity and social justice issues. With this unique fusion, she brings care and sensitivity, subtle awareness and keen insight, fun and creativity to her work with individuals, couples, and groups. Using the body as a source of information and wisdom for whole-life growth and development, Katje helps people connect deeply with themselves, experience healing transformation, and unfurl the unique gifts and callings each person brings to this world. My journey in holistic health, healing and development has been life-long. My body became one of my first companions and teachers of the great mysteries and powers that live within us. I started dancing as a young girl, first in the living room with stuffed animals as my audience and the great music of the times as my accompaniment. Dance was my first meditation, where the world went quiet and I connected with another realm. That organic passion grew into years of training and eventually performing professionally as a singer and dancer. Yet I also had a curious mind that recognized the interconnectedness of life experiences – we have bodies, but are also psychological beings living amidst a complex social world that impacts who we are and how we relate to each other. These different elements wove together in my undergraduate studies at Occidental College, where I earned a BA in Communications combining psychology, sociology, political science and gender studies. Fueled by my interest in Women’s Health, I went on to study midwifery, which took me into the worlds of holistic health and also deepened my sense of spirituality. I worked with women and families as a doula, became a massage therapist, and spent years as a dedicated student and teacher of yoga. I loved working with the body, experiencing how people connect more deeply with themselves and the healing and empowerment that inspires. Yet the strands of my interests in the body, psychology, social issues and spirituality propelled me onward. In 1998, I began training in Process Work, an inter-disciplinary approach to personal and collective change that combines body awareness, psychology, social dynamics, spirituality and creative expression – bringing together the very elements I find essential to life. Through Process Work I have learned that our struggles and conflicts – both inside ourselves and with others – are doorways to the very stuff that makes us come alive, guiding us toward healing, learning and creative possibilities. In addition to my training in Process Work, I received a Master’s degree in Couples, Marriage, and Family Counseling from Portland State University. I decided to take my interest in the mind-body connection further and completed a PhD in Clinical and Somatic Psychology at Santa Barbara Graduate Institute (now joined with The Chicago School of Professional Psychology). My doctoral research focused on women’s experiences of fulfillment and the role of the body in helping women find and navigate fulfilling life paths. I also served as faculty for the Master’s programs in Process-Oriented Psychology at the Process Work Institute in Portland, Oregon. I am licensed in the state of Oregon as a Licensed Professional Counselor (LPC). I specialize in working with physical health issues from a holistic perspective and work extensively with women, women’s health issues, creativity, and the journey of living fulfilling lives. I’m committed to my own ongoing learning around biases and privilege, and how to use power in ways that support others to live and thrive in their diverse experiences. As a licensed counselor and holistic psychotherapist, I am passionate about helping people connect more deeply with themselves and the healing, growth, and possibilities that inspires.